Last Updated: March 13, 2019 | Subscribe to our weekly newsletter! When you first saw that green tinge to the water in your spa, you thought it was a trick of the light. A reflection. Nothing to worry about. But now, you can’t deny there’s a problem—your hot tub water is green. And not just a little green. But green. The bad news is, your spa has algae. The good news is, though it’ll be a little labor-intensive, it is treatable, so you can get your hot tub back to normal. It’s also preventable with just a few simple precautions. Why is Your Hot Tub Water Green? You leave your hot tub uncovered when you’re not using it. This is especially dangerous if it’s outside where the sun can help algae grow. You’re not adding enough sanitizer, or adding it often enough, or both. The hot tub’s filtration system isn’t working properly, or the filter isn’t being cleaned and replaced often enough. Algae hitched a ride into your hot tub on a swimsuit or accessory that you used in another, algae-infected body of water. Knowing why it’s happening is important because these will be the first steps you take to prevent algae blooms in the future. You thought you were doing everything right, but you still woke up to green hot tub water. You may have been laying out the welcome mat without even realizing it. Pick that up, and put out a no trespassing sign instead. Cover your hot tub when you’re not using it, even if it’s inside. Make sure you add enough sanitizer for your hot tub’s volume, and that you’re adding it often enough. The only way to know this is to test the water regularly. Check the filtration system, and be sure to clean the hot tub filters on a regular basis. Also, replace the filters when they’re worn out. Wash your swimsuits and any accessories you’ve used in a pool, lake, or any other body of water before you allow them into your hot tub. Those few simple tactics will help keep algae from forming again. But first, you need to address the algae already in the hot tub. You’ll need to set aside some time to do this so you can do it properly. Once you’ve noticed your hot tub water is green, you can’t take any shortcuts in clearing it up. The first step is to drain and clean the hot tub. You have to get rid of the water that has algae in it, and then clean every surface to make sure every bit of algae is gone. With an algae problem, just rinsing the filter with clean water won’t be enough. You’ll need to apply a filter cleaner If you click this link and make a purchase, we earn a commission at no additional cost to you. . You may even want to soak it overnight in a chemical rinse If you click this link and make a purchase, we earn a commission at no additional cost to you. to be absolutely sure it’s free of algae. If that doesn’t make you comfortable enough, or if the filter is just worn out, now’s the time to replace it. Just a wipe-down won’t do. Break out the hot tub cleaner If you click this link and make a purchase, we earn a commission at no additional cost to you. for a total and thorough shell cleaning. Or, if you prefer, you can use diluted bleach If you click this link and make a purchase, we earn a commission at no additional cost to you. 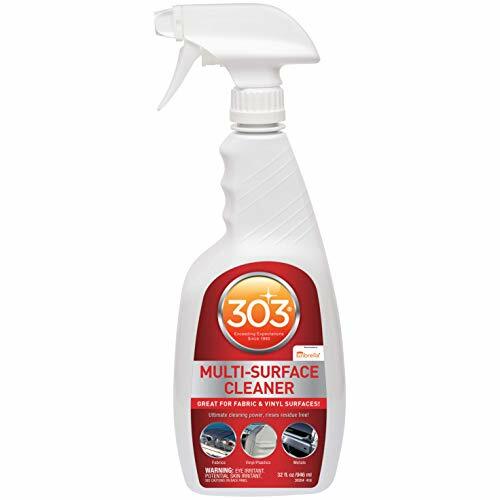 , diluted cleaning vinegar If you click this link and make a purchase, we earn a commission at no additional cost to you. , or some other household product to clean your hot tub. For an algae problem, though, we highly recommend using a cleaner made for hot tubs. 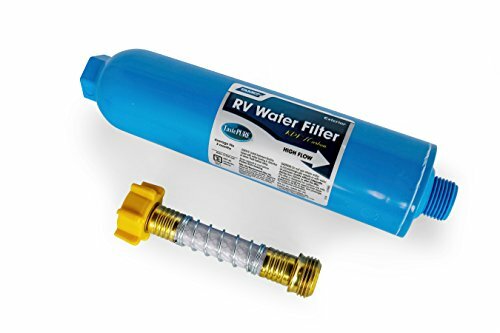 Regardless of whether you use city water, or you get your water from a well, we highly recommend using a hose filter If you click this link and make a purchase, we earn a commission at no additional cost to you. . 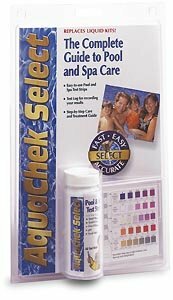 This will help keep minerals and other contaminants out of your hot tub. Because condensation will collect on the underside of the hot tub cover, it’s entirely possible that a few algae spores have set up shop there. 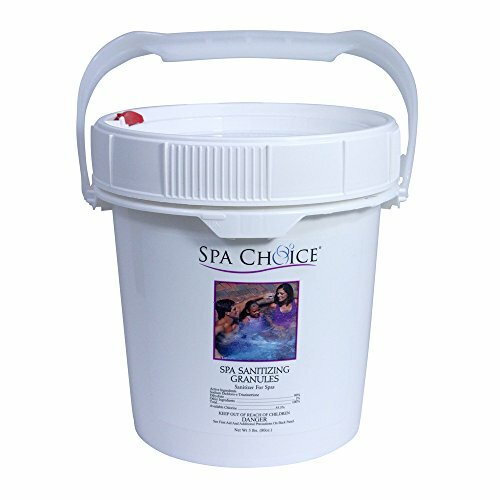 While you’re waiting for your hot tub to refill, clean the cover with diluted bleach, diluted cleaning vinegar, or with a vinyl cleaner If you click this link and make a purchase, we earn a commission at no additional cost to you. . Again, when dealing with algae, we recommend using a cleaner specific to the task. One the tub is full, shock the hot tub. Then shock it again so algae won’t even think about coming back. 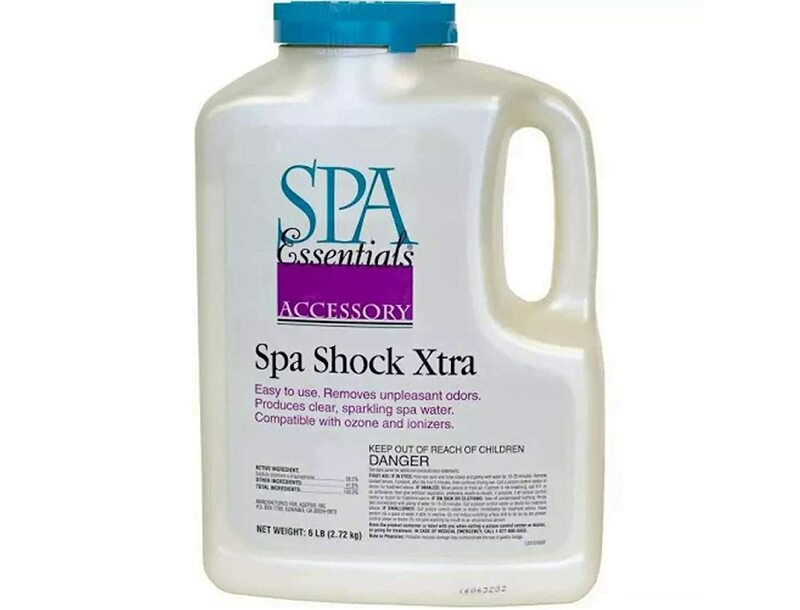 Once the shock has had time to dissipate, test the water either with test strips If you click this link and make a purchase, we earn a commission at no additional cost to you. or a liquid test kit If you click this link and make a purchase, we earn a commission at no additional cost to you. . This will give you a baseline so you’ll know what chemicals to add, and how much. Give the chemicals you’ve added a little time to disperse, then test the water again. If everything’s where it should be, great! You’re all done! If not, adjust as necessary, wait a little while, and test again, repeating the process until the water is properly balanced. But … My Water is Yellow! What if the problem isn’t that your hot tub water is green, but that it’s yellow? You likely still have an algae problem, just a different type. Yellow algae, also known as mustard algae, is a rare form of algae found most commonly in areas with a warmer climate. Yellow algae is tough to get rid of and has even been known to be chlorine resistant. So if you’re looking at yellow water, follow the algae cleaning steps slowly and carefully. What About an Algae Encore? After you’ve followed all the steps to get rid of algae, it’s gone. Or is it?! Algae—both green and yellow—is tough stuff, and the truth is, it may take two or even three tries to get rid of it completely, so be prepared for that possibility. You’re now on your way to winning the war against algae that makes your hot tub water green or yellow. But it’s a never ending battle, and you must be vigilant. It can sneak back into your territory at any moment. Take the proper precautions, keep your hot tub clean, and keep the water balanced, and you’ll maintain a strong, algae-free front line. 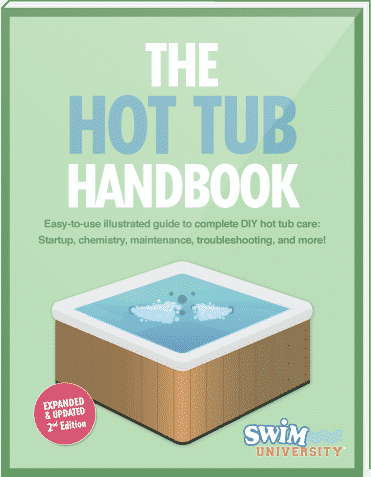 Check out everything you need to know about how to clean and prevent the scum ring around a hot tub so both the water and the sides of your hot tub sparkle.